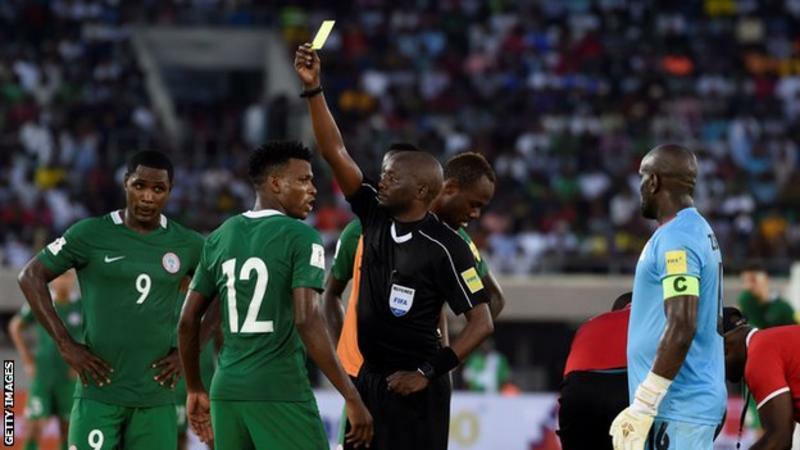 Fifa has punished Nigeria for using an ineligible player in their final World Cup qualifier against Algeria in November. The sanction does not affect Nigeria's World Cup qualification as they had already clinched a place in Russia before the Algeria tie. Abdullahi Shehu played the whole match against Algeria even though he should have been suspended for picking up yellow cards in two previous qualifiers. The defender was cautioned in the Super Eagles 1-0 win over Zambia in October that sealed Nigeria's spot in Russia, having been shown a yellow card in the first leg of their second round tie against Swaziland in November 2015. The Nigeria Football Federation has also been fined US$6,000 for the oversight. It means that Nigeria still finish top of Group B but with 13 points instead of 14 while Algeria's total at the bottom is now four rather than 2 points.